Expert Installation of Stoves, Chimney Linings , Flues and all associated Chimney services. Here at Stoves n’ Stacks we offer a range of services. Supply and Installation of Solid Fuel Appliances. We offer a planning, supply and fitting service of solid fuel appliances, in a variety of situations, tailored to the wishes and needs of the customer. 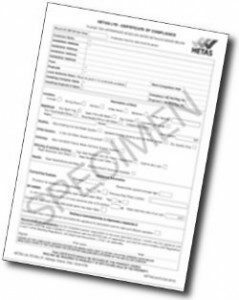 All such work undertaken is in compliance with current building regulations by qualified Hetas Fitters. 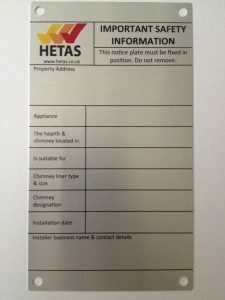 Customers using a HETAS Registered Installer in England and Wales will be given a HETAS Certificate of Compliance (Building Regulation Compliance Certificate) by the installer on the completion of installation work or through the post if the installer notifies the installation online. The certificate demonstrates that the installation complies with the relevant Building Regulations. This self certification takes the place of a Local Authority Building Notice. The information can be required to validate your home insurance and will be required in any home selling process. 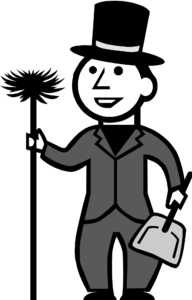 Failure to notify the Local Authority can be an offence resulting in enforcement action. We also offer a flue lining service using quality 316 or 904 grade stainless steel flexible flue liner, which will then allow the safe use of a solid fuel appliance. We will undertake the rectification of defects to your chimney stack structure, including the replacement of chimney pots and cowls, also the weatherproofing of redundant flues. Based in Ledbury, covering the counties of Herefordshire, Worcestershire and Gloucestershire. For Free no obligation quotes , and any other information you require please dont hesitate to contact me.